Vibrantly African | The Africa Centre | Proud of our past. Passionate about our future. 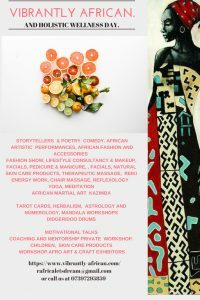 Join us on an amazing journey of fun, leisure, information and spiritual awakening through the sacred and magical heritage and cultures of Africa. An unforgettable day filled with inspiring talks and workshops for education, family, relationship, business and personal motivation. Prepared to celebrate you. By attending this magnificent event, you might actually think you’re travelling through the continent of Africa. Come network with us and make important connections. 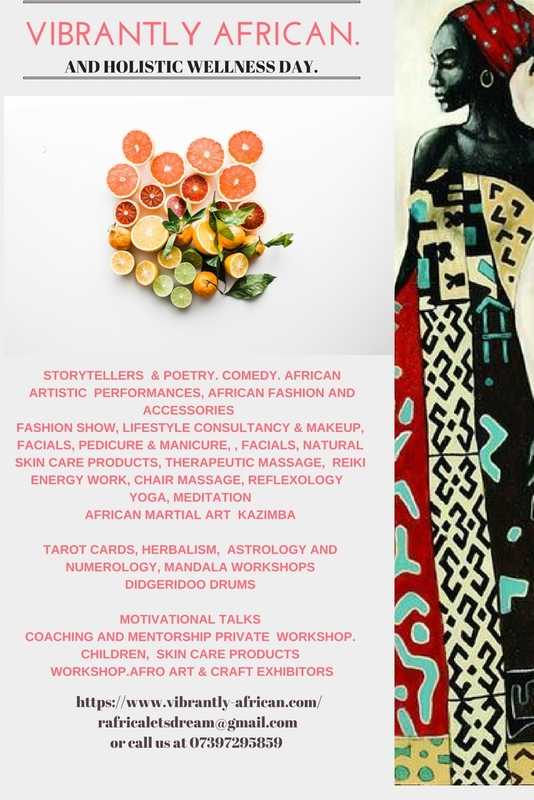 We bring like-minded people together in a community-oriented setting who are interested in exploring African vibrant lifestyle and afro wellness. The event will have a strong emphasis on showcasing a variety of healthy living options, friendly options for fun and leisure, and guidance for self-development and empowerment, as well as offering opportunities for visitors to learn about making more conscious choices about their physical health, emotional well-being & finance, and growing their soul through motivational talks, coaching and private mentorship and workshops. You’ll be introduced to the most inspirational, empowering, educational, and entertaining day of your life! 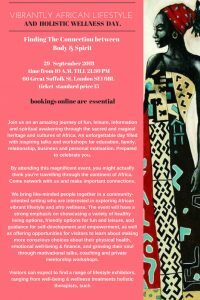 An intimate group of passionate individuals who are committed to helping you travel to your deeper Magnificent Self. an unforgettable day that will create strength, release stress, and build personal empowerment in your life. Renew, revitalize and refresh as we come together to inspire creativity, learn, replenish and be nourished.